In communist era Poland, a musician and a singer embark on a turbulent relationship. Back in 2006, German cinema scored something of a breakout global hit with Florian Henckel von Donnersmarck's The Lives of Others, which followed the travails of a group of disgruntled, pro-western artists in communist era East Germany. At the time I couldn't help view the protagonists of Von Donnersmarck's drama as the sort of people who would be just as discontented with their lot if they found themselves living in the capitalist west. The grass is always greener on the other side. Perhaps writer/director Pawel Pawlikowski viewed The Lives of Others and came away with the same thought, as his latest film, Cold War, explores exactly such a notion, summed up in a scene where a character suggests to her lover that they move to the other side of a road. "Perhaps the view will be better over there." The characters in question are Zula (Joanna Kulig) and Wiktor (Tomasz Kot), who over the course of Pawlikowski's relatively brief film, engage in a turbulent, on-off relationship that spans three decades and both sides of the Iron Curtain. They meet in 1949 Poland, when Zula is chosen to audition at a state school for those possessing musical attributes, a sort of communist 'Poland's Got Talent' where pianist Wiktor acts as a Simon Cowell figure, deciding which 'peasants' should represent Polish culture and which should be sent back to the mountains. Though she fails to impress Wiktor's female co-selector, the teenage Zula's looks and feistiness strike a chord with the older man, who selects her for a place at the school and soon embarks on a sexual relationship with his student. One day Zula confesses that she has been secretly working for the Polish authorities, who have suspicions about Wiktor's political allegiances. While on a trip to East Berlin for a festival of music involving Europe's various communist nations, Wiktor attempts to convince Zula to flee across the border with him, but she chickens out at the last moment, leaving him to begin a new life in Paris on his own. Unable to return to his homeland, where he would face a lengthy imprisonment, Wiktor assumes he has seen the last of his young lover, but over the next two decades, Zula and Wiktor are reunited and rent apart several times. In one of Wiktor and Zula's first interactions, Wiktor has his student practice her vocal range, literally manipulating her voice with the keys of his piano. 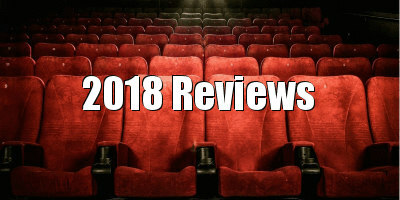 Once in a relationship with Zula however, Wiktor finds he is unable to pull her strings to his demands, a frustration that will disrupt the relationship over the next 15 years. The image reoccurs later, in '60s Paris, when Wiktor is producing Zula's jazz record, and finds that as both producer and lover, he is unable to communicate his ideas to the woman he nevertheless can't live without. Like their previous collaboration, 2013's Ida, Pawlikowski and his cinematographer Łukasz Żal shoot in black and white in academy ratio, creating some truly stunning images, the narrow frame reflecting the claustrophobia of some of the scenarios the film's protagonists find themselves trapped in. 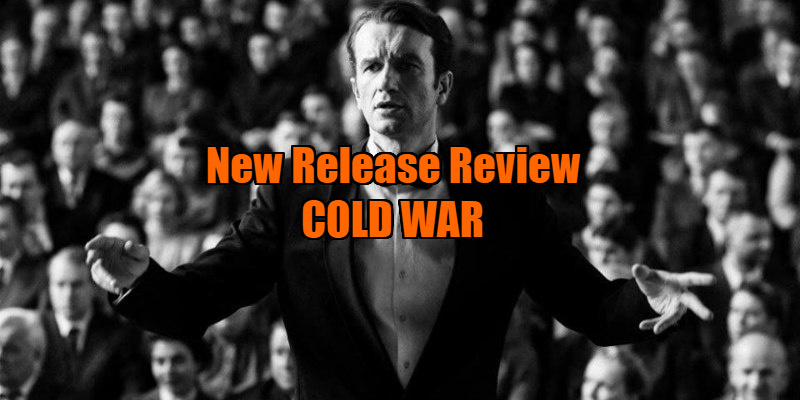 With so much time devoted to the various musical performances Wiktor and Zula engage in, Cold War might qualify as a musical by some viewers' metrics, and the tunes are so catchy, and fresh to audiences outside Pawlikowski's homeland, that it could do for Polish folk tunes what the Coen Brothers' O Brother Where Art Thou? did for Appalachian bluegrass. Kulig is an actress I've seen in many a supporting role in various Polish and French films, including Pawlikoski's The Woman in the Fifth and Ida, and she grasps the chance to take centre stage here with all the pent up fury of a teenage girl given three minutes to impress a talent show jury. For all the pretty images conjured up by Pawlikowski and Żal, it's the performances of Kulig and Kot that hold the narrative together. I have to confess I struggled to invest in their characters' romantic relationship - one which begins with both parties taking advantage of their opposite's vulnerabilities and never really seems to progress beyond any superficial, surface level attraction - but Kulig and Kol are so mesmeric in the roles that it was only after the credits rolled that I came to this conclusion, my decision perhaps exacerbated by the movie ending with a preposterously melodramatic grand gesture that suggests it was penned by an overly emotional teenager. 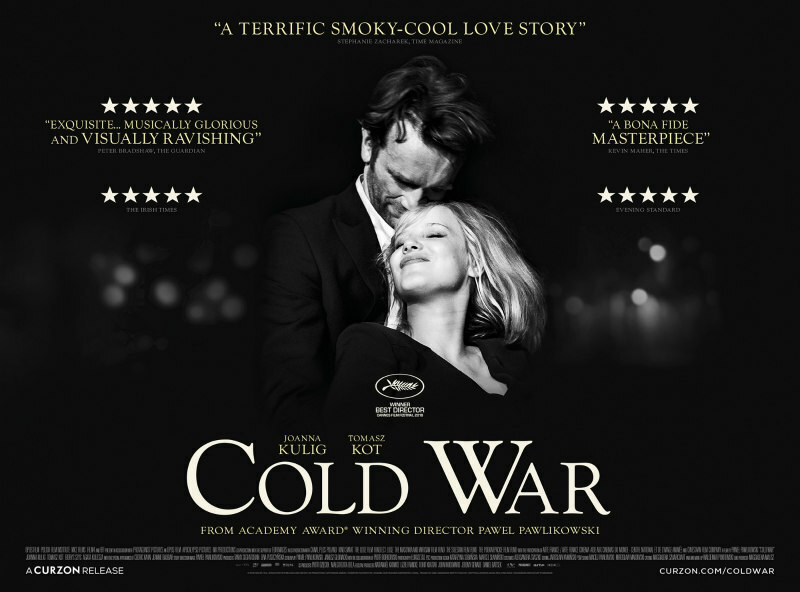 Cold War is in UK/ROI cinemas August 31st.